Bloggers Have Mad Skills – Pay them Accordingly! I have a bone to pick. Something’s sticking in my craw and I need to get it out. Lately I’m coming across ad after ad for bloggers – yet no one is willing to pay for the work. Instead they’re offering “exposure” and “internships.” Hello? I’m exposed every time I walk out my front door, thank you very much, and internships offer something besides toiling away for nothing for Joe No Name. Bloggers have skills. Mad skills. Their pay should be reflective of all the work they do. Let me break it down for the people who think bloggers should be happy to work for the glory. Writing – Bloggers are passionate about their topics. They have to be in order to write about the same thing day in and day out. The reason businesses and individuals hire bloggers is because they don’t have the time or inclination to do so themselves. However, it’s not an “easy” job. A blogger must stay on top of all the current trends, technology and research, and write about it in a manner representative of his or her client. Bloggers don’t necessarily write off the top of their heads. There’s research to conduct, books, articles and blog posts to read, and experts to interview. Though blog posts have a casual tone, they are written in a professional manner. This alone warrants a decent pay check. Coding -Yeah we have to know a little HTML or other coding necessary to embed images, videos and have our blog posts formatted in a manner befitting the content. Yes, a lot networks and content portals handle this sort of thing on their own. 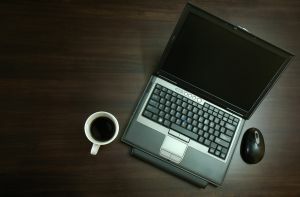 However, many clients want a blogger who can work on his own without having to call in the techies every five minutes. Web Design – Many bloggers handle template design and other design elements for their clients’ blogs. This takes a bit of skill. Not everyone knows the best places to place widgets and ads. Not everyone can create an eye pleasing header or clean sidebar. Community Management – Most clients are looking for bloggers because they want to create a community to help create buzz around a product or service. This means bloggers are expected to moderate and respond to posts. They answer questions, soothe tempers and keep the conversation flowing. Public Relations/Marketing – If you’re expecting your bloggers to promote their content, this should be reflected in the pay. Building up relationships and networking is a job in itself, let alone for a blogger who is doing it for the glory. SEO– SEO is a learned skill. It doesn’t come naturally. Knowing how to catapult a blog to number one on the search engines is something that should be handsomely rewarded. Tell me again why bloggers aren’t worthy of pay? What are some of the mad skills you have as a blogger? You can get arrested for exposing yourself every time you leave the house, you know. You forgot one mad skill: an irrepressible, stubborn willingness to keep writing even when no one’s reading, no one’s responding and no one’s paying. Amen! This is what I’ve been saying about writing for years. People who don’t write don’t understand that not any monkey can do it. It’s a skill, just like being a doctor or lawyer, yet no one wants to pay what we’re worth. I blogged about it a few months ago on my site. Please check it out. The arts just aren’t appreciated much. Whether it’s music, acting, painting or writing, we’re supposed to accept the fact that we won’t make any money till we die. Would lawyers wait for death? You took the words right out of my mouth. Everyday I come across ads on Craigslist that either offer “exposure,” “revenue sharing,” or some small budget like $75 to design and install a complete blog. It’s time for people to realize they need to pay for good work otherwise they will get nothing. The scrapbook industry that I write about has a very similar problem: companies soliciting “design team members” who are expected to create sample scrapbook layouts, promote the company on their blogs and message boards, and participate in other activities. Usual compensation for these positions? A line on your resume, “exposure” and a bit of free product. Another skill – or rather asset – that many bloggers bring to the table is their network, the people they know that may be helpful in a variety of ways. We each have our own unique network that is of value in its own way. Love this site. I’ll be making every effort to attend the Conference in October. Keep up the great work. After I graduated from college I interviewed for someone who wanted me to give him writing samples, but he provided the material from which I was to abstract material. I did so and heard nothing until a year later I saw that material in an investment business newsletter. I have been contacted about various blog “businesses” that were the same…upfront work by me and little pay in return. Even some local businesses I’ve helped set up with Twitter and Blogs become so demanding I have to cut them off. It’s a strange thing…blogging is a valuable skill that is yet to be seen as creating much value. Technical writing had the same problem 50 years ago and organized the Society for Technical Communication to educate employers about how valuable good technical writing was to the success of their product. Maybe bloggers need to do the same. I don’t mind giving away free content as long as it either supports a cause I believe in, is on a very popular site so I can benefit by getting traffic and new readers, helps out a friend. Being helpful has its rewards. Still, a good freelancer should be paid for their time and effort, whether they’re a print writer, a technical writer or a blogger. Still I charge accordingly. If another freelancer wants help setting up a blog, I charge them much less than a large business. I also do trade – one hour of your time for one hour of mine – whether that’s painting my house, giving me a professional massage, or tuning up my car. As far as mad skills? How about time organization and delivering work on time? Poetslsife, I completely agree that we need an association. Just like the Writers Guild. Perhaps a branch of that for bloggers? We writers need to bond. Our network is a huge benefit to our clients. So add marketing and public relations skills to the list. I’ll add something to your terrific post. I am sooo sick of PR agencies calling me-cold,asking me to blog about their clients. Pay me. Do something! I am not going to do free work to make you look good. Those folks that know of me, and of my many blogs, understand that I do pay it forward. But sometimes, others have to step up, and throw some $$ my way. Now, some PR agencies understand, and throw opportunities my way. Facebook as Terrorist Recruiting Tool?